All Eyes on San Diego tonight for MNF! The Chargers (2-2) host the Steelers (2-2) center stage on Monday Night Football. 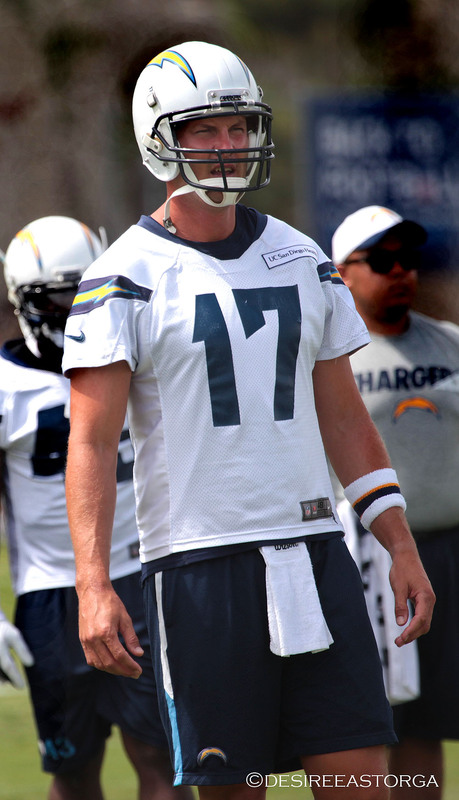 This week it is welcome back Antonio Gates, congrats to Phillip Rivers, the AFC Offensive Player of the Week, Chargers locker room sound, inside the lions den, and what it means to play on Monday Night. 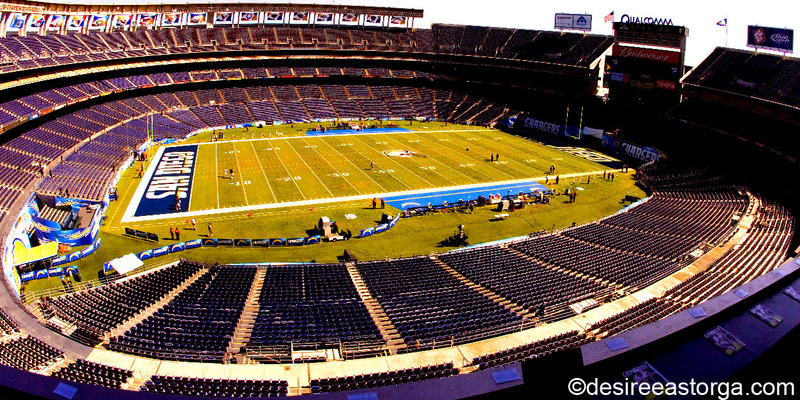 Another heat wave is here as the Chargers host yet another hot game. 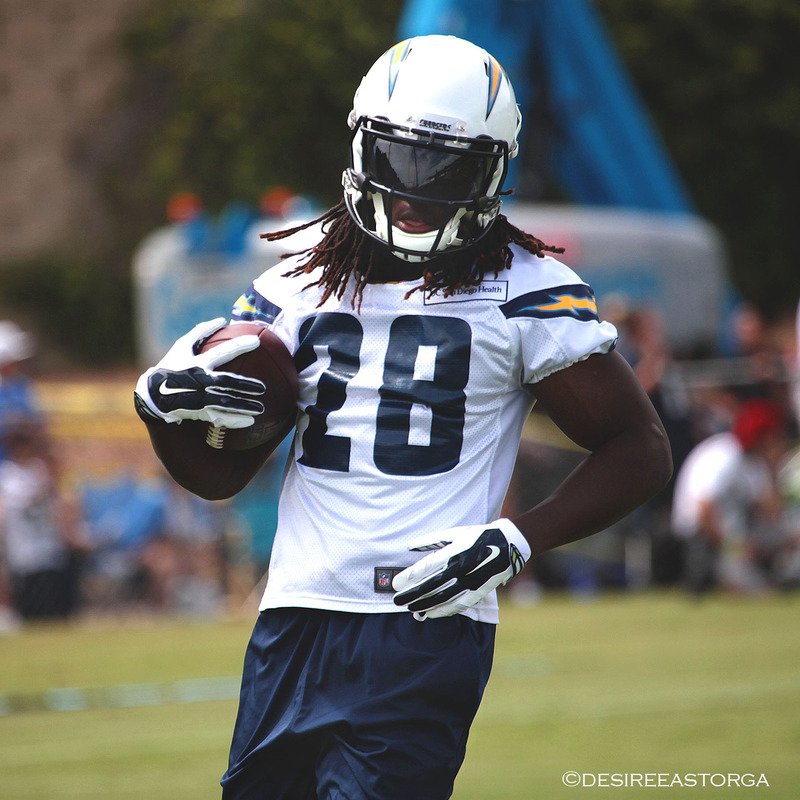 Vets will tell rookies it’s just a Sunday game on Monday, but the truth is every eye is on you. A chance for family, friends and the nation to watch, essentially every football fan will be watching! Prime time, the lights, national television along with the ESPN broadcast crew, Mike Tirico and John Gruden in the booth, hopefully John won’t be playing catch with fish, perhaps he ran into Barrack Obama on the golf course or enjoyed the beach where the temperatures have reached to the upward 90’s in the last few days. Yes, Monday Night Football is big! Tonight will mark the 29th time the Chargers and Steelers meet in the regular season spanning from 1971 and the third Monday Night Football game. The last time these to met in the regular season San Diego took the W 34-24 at Heinz Field December 9, 2012. 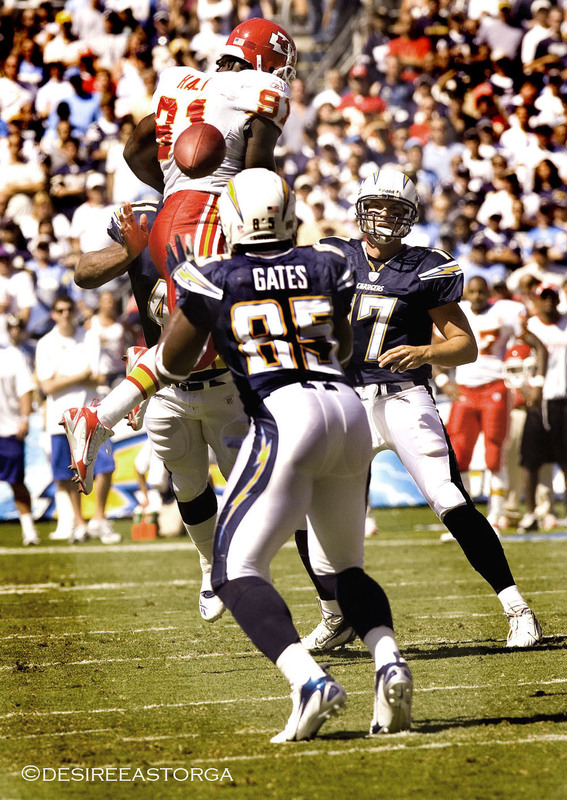 After speaking with Antonio Gates I was heart warmed to hear his response to his first MNF, it wasn’t his first, but it was Phillip Rivers first, attesting to the closeness of this group. Antonio’s next touchdown catch will be his 100 and possibly could come tonight on his first game back for the season. Random tidbits you may not know, Malcolm Floyd’s first MNF was almost 11 years ago to the day vs. the Pittsburg Steelers on October 10th at Qualcomm, where the Steelers edged over the Chargers 24-22. Playing on Monday Night Football, whether it’s the first or most memorable, I spoke with Antonio Gates, Keenan Allen, Malcom Floyd, Cordarrow Law, Tyreek Burwell, Jimmie Wilson, Jason Verrett, Javonte Herndon and Michael Ola. Ambient locker room emotion is present and even Joe Barksdale is captured chirping in. Enjoy, it’s raw! After leaving camp I had an even more in depth perspective of the closeness this group does have, the “Lions Den” where all the offensive linemen congregate demonstrated to me how these players have been able to fill in and protect their quarterback, through injuries and other sorts of adversity. It was loud, teasing and passionate the perfect recipe for any group of successful linemen. This resonates as well throughout the locker room with each positions group and is quite visible even at first glances as you see them all grouped together talking and joking amongst themselves. Blitzing is a big part of the Steelers’ defensive makeup, but Chargers QB Philip Rivers’ quick release — and smarts — can make Pittsburgh pay – John Gruden. Antonio Gates also creates a threat to Pittsburg, whether as a decoy or not, the Steelers defense struggles with tight ends. 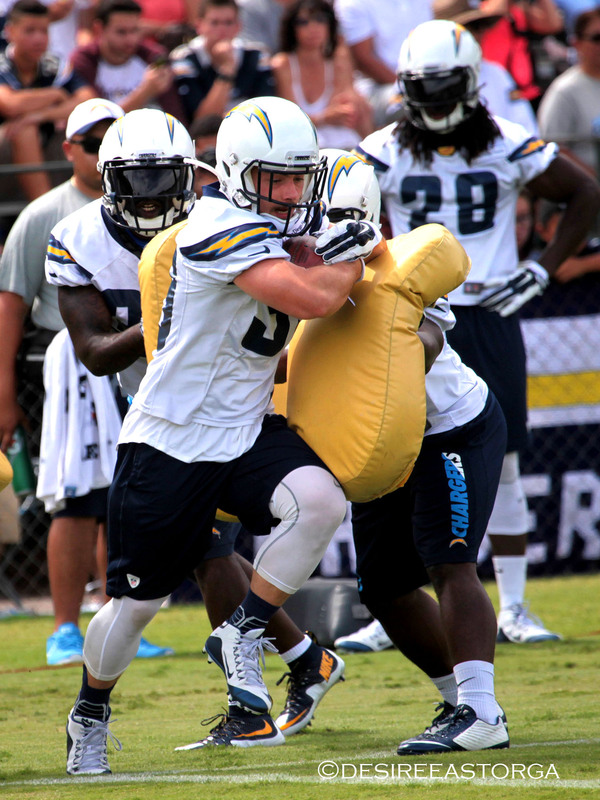 Chargers will have their handsful keeping the leader of this team Philip Rivers upright; pass protection and opening creases for Woodhead, Gordon and Oliver in the run. Although Pittsburg has a 42-24 record on MNF, Steelers will be without Ben Rothlisberger for the second week and with thirty-five year old Michael Vick in, but don’t dismiss the fact that Todd Haley will have eleven days of prep and tweaking. When Steelers QB Mike Vick was a rookie, Chargers OLB Jerry Attaochu was 8. LB Manti Te’o was 10. 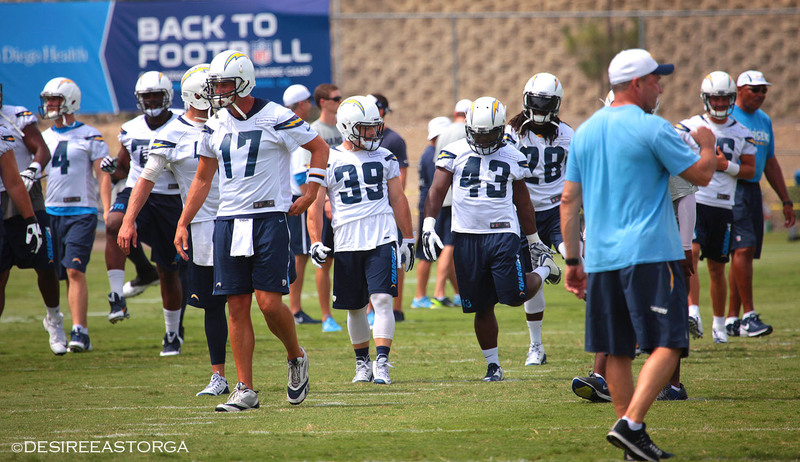 LBs Donald Butler, Melvin Ingram were 12. The Chargers secondary will have some work this evening containing Antonio Brown and the line with halting Le’Veon Bell and D’Angelo Williams (I always think of “smash and dash”). Both teams will duke it out to stay afloat in their respective divisions, should be a fantastic game, Chargers find a way to win in this unseasonably hot October in San Diego.